Chinese internet giant Alibaba will make its market debut in the United States. Although the company is little-known in the U.S., it is expected to rank among the largest ever initial public offerings. 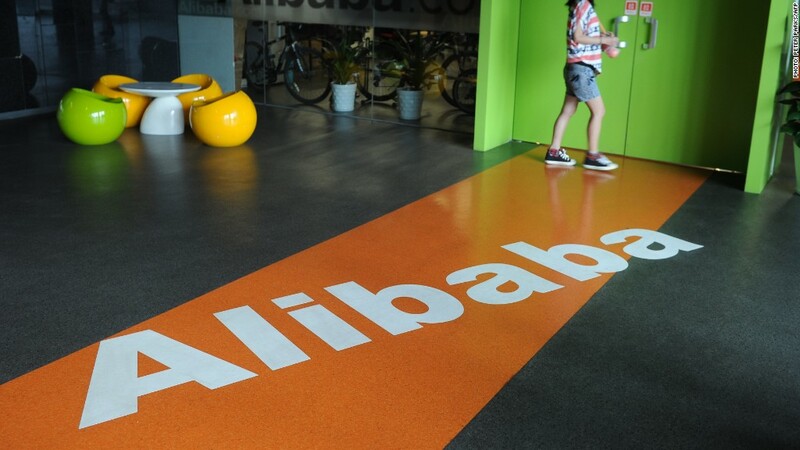 Alibaba is reportedly expected to raise as much as $15 billion. Alibaba's long-awaited decision was revealed Sunday after months of negotiations with Hong Kong stock authorities. The company had said a major sticking point was its proposed governance structure. Alibaba's announcement included a reference to that issue: "We respect the viewpoints and policies of Hong Kong and will continue to pay close attention to and support the process of innovation and development of Hong Kong." But the decision for a U.S.-based IPO "will make us a more global company and enhance the company's transparency, as well as allow the company to continue to pursue our long-term vision and ideals. Many significant questions about the IPO remain unanswered, including when the offering could be made, who the major banks behind the IPO will be and whether it would list on the New York Stock Exchange or NASDAQ. As recently as Friday, Alibaba said it had "no timetable" for an offering and "no underwriters." The company is sometimes described as China's Amazon or eBay, and its online marketplace is a mix of both. It operates an Amazon-like online shopping mall, a eBay-like venue for individuals to buy from other people, a business-to-business sales platform and a PayPal-like online payment platform. One of its largest single investors is U.S.-based Yahoo (YHOO), although Alibaba recently bought back a significant portion of Yahoo's stake. Weibo, China's Twitter (TWTR), also recently announced plans for a U.S. IPO. On Friday, the social media giant said it would list on the New York Stock Exchange and seek to raise $500 million. Correction: An earlier version of the story said that Facebook was not profitable at the time of its initial public offering. The social network was profitable in 2011.